Calling all professionals in the water sector or development related industry! New WAter Ways is running an intensive 1 day course providing introductory information on water sensitive urban design processes and concepts. Wed 15th August 2018 8:45 am- 4:30 pm. This session is aimed at state, local government and industry regulators, planners, natural resource managers, engineers, landscape architects, asset managers and developers to assist the industry to better deliver water sensitive cities. This training is brought to you at no cost through sponsorship by the Department of Water and Environmental Regulation, New Water Ways and URBAQUA. Via RSVP Below. Email mark.canny@gmail.com for any special dietary requirements. Shelley is a Director of Urbaqua, a not-for-profit environmental organisation that works to support and deliver water and environmentally sensitive outcomes in Western Australia. 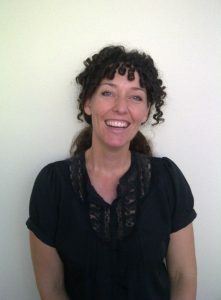 She is also the Program Manager of New WAter Ways, which is Western Australia’s capacity building association for water sensitive urban design. Shelley works to engage people in the creation of liveable communities which respond to environmental and climatic conditions. 9.00 – 10.00 am Better Urban Water Management Better Urban Water Management (WAPC , 2008) was released by the Western Australian Planning Commission to provide a framework for the integration of water into the land use planning system. This session will explain the intent behind the framework and provide solutions and tools to assist in its implementation at the various stages of the planning approvals process. 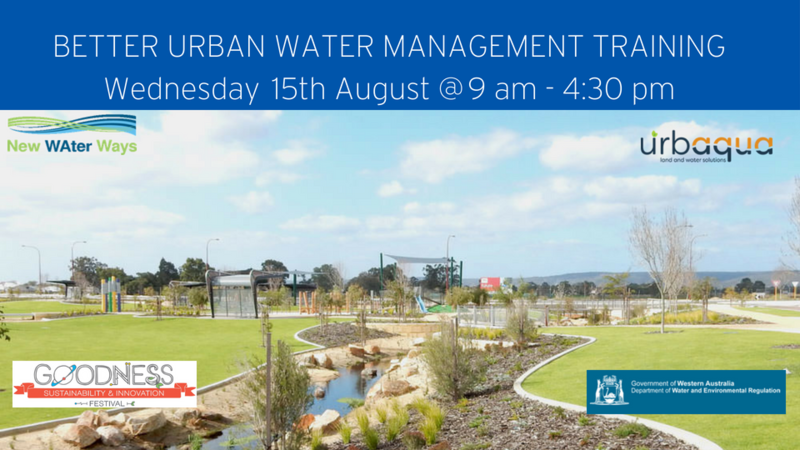 10:20 – 11.30am Introduction to stormwater management practices and the Decision Process Stormwater management that incorporates WSUD principles is a key component of achieving better urban water management. This session will outline the principles of better stormwater management and provide guidance on how practices should be applied in the management of storm events, via a treatment train approach applied at different scales. The information is presented at an introductory level and is largely based on the Stormwater Management Manual for WA (DoW, 2004–2007). 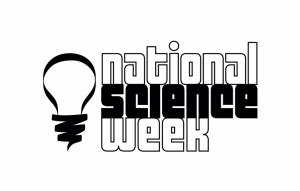 11:30 -12:30 Biofilters Biofilters, rain gardens, bioretention areas – what are they? This session will take you through critical aspects of biofilter design including sizing, inlets/outlets, media and vegetation as well as some tips on construction and maintenance. 1.15 – 2 pm Groundwater management for urban development This introductory session discusses concepts associated with development in areas of high groundwater. It provides an outline of the Department of Water guideline Water resource considerations when controlling groundwater levels in urban development (2013) and highlights issues and options for design of groundwater management systems. 2 pm – 2.45pm Local Water Management Strategies – how to get it right Do you know how to develop a local water management strategy? What are the important elements that need to be addressed? What are the aspects that are important to the Department of Water and Local Government? Who should you talk to? These questions and more will be answered in this introductory training session on local water management strategies. And remember – it is not just a matter of saying the right things. You need the technical information to back it up! 3 pm – 3.45 pm Retrofitting for WSUD Retrofitting of traditional pipe and pit drainage systems to incorporate WSUD approaches is able to deliver multiple benefits to the community and environment and often results in a system that is more cost effective to maintain and replace. This session will explore the opportunities for retrofitting of existing systems, including integrating stormwater management into public open space, and provide guidance on processes, principals and techniques. 3:45 – 4:30 pm Maintaining WSUD assets Maintenance issues are continually raised in opposition of the installation of WSUD infrastructure. This training session will discuss what actions are really needed, when they should be done and who by. So come along and learn how to talk with your asset team about what is actually required.